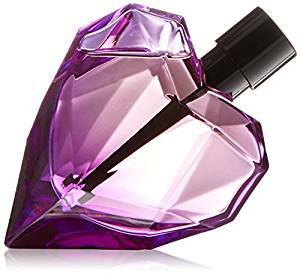 Diesel’s Loverdose perfume was released in 2011. You may have heard of Diesel from their famous Denim jeans pairs. I could not say that this perfume has the best design I’ve ever seen. But, compared to the designs of other Diesel perfumes, it is a few levels above the others. It’s not a punch. It does not have the shape of a box of milk. He does not recall that I have to give poison for termites or ants (I do not know, I’m a little strange). So what if it’s a big purple heart and I said what I think about it? The Loverdose fragrance has a more pleasant aesthetic look, even if it’s a little ridiculous. It has a nice weight, is easy to hold and used and is made of a good material. Good job, Diesel! The first flavor I felt is the anise, and that’s all I can feel from this perfume until it decides to allow me to feel another smell. But what makes Loverdose perfume with its anise flavor is truly an unfortunate case. If mixed well, anise can bring a sophisticated sweet flavor to a perfume. I associate the anise with the feeling of comfort and sometimes the sensation of something exotic. In the case of this perfume, anise is like a huge hammer and my nose is on the way. The middle stage is marked with a sweet floral aroma, which reminds me too much of an unsuccessful perfume experiment I performed when I was a baby by mixing two of my mother’s fragrances with a room spray with shades of flowers. Drying is not much better, as wood, amber and vanilla can do nothing to soothe the sweet smell that has been felt from the beginning with this fragrance. Overall, the Loverdose scent is a little messy.